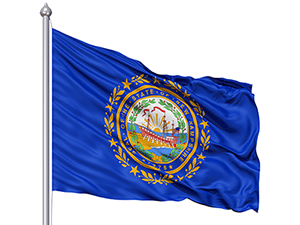 New Hampshire, one of the original 13 colonies, was the first state to have its state constitution. 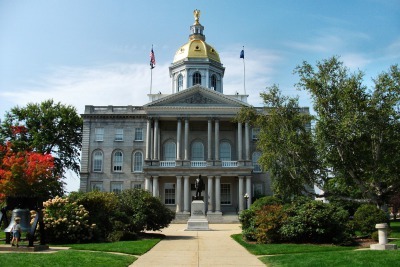 Its spirit of independence is epitomized in the state motto–“Live Free or Die.” New Hampshire was the 9th state to ratify the U.S. Constitution–the final state needed to put the document into effect. 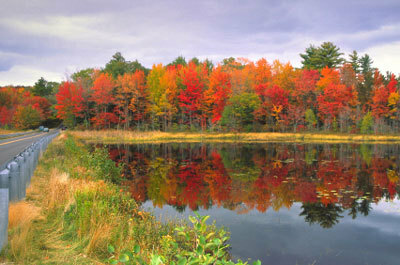 It plays an important role in national elections, as it is the first state to hold national primaries, and its primary results are thought to influence those in the rest of the nation, giving rise to the saying “As New Hampshire goes, so goes the nation.” It is the site of the White Mountains and the famed Mount Washington, one of the windiest places in the nation. 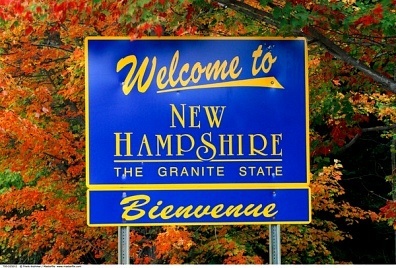 The “Old Man of the Mountain,” depicted on the New Hampshire state quarter, was a rock formation in Franconia Notch made up of five distinct granite ledges that lined up perfectly into the shape of a man’s profile. Formed by a series of geologic events that occurred over millions of years, the profile extended nearly 40 feet from forehead to chin. On May 3, 2003, the Old Man of the Mountain collapsed from its perch 1,200 feet above Profile Lake. 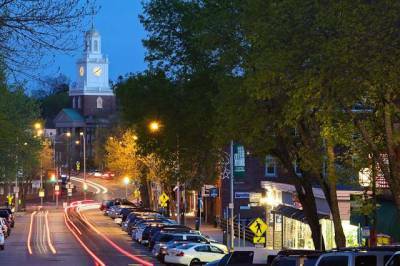 New Hampshire was home to the first American astronaut, Alan Shepard Jr., and first private civilian, Christa McAuliffe, to travel into space. Shepard’s 15-minute flight onboard Freedom 7 on May 5, 1961, launched him 116 miles into the atmosphere before landing safely. McAuliffe, a schoolteacher from Concord, who applied to participate in the legendary mission, perished aboard the Challenger space shuttle on January 28, 1986, 73 seconds and 48,000 feet after liftoff. In July 1944, financiers from 44 countries gathered at the luxurious Mount Washington Hotel for the Bretton Woods International Monetary Conference, during which the World Bank and International Monetary Fund were established, and the American dollar was designated the standard of international exchange.